1. 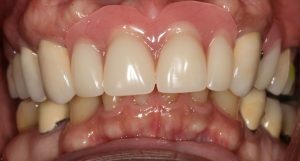 WHAT IS A PROSTHODONTIST? A prosthodontist is a dentist who specialises in the aesthetic restoration and replacement of teeth. 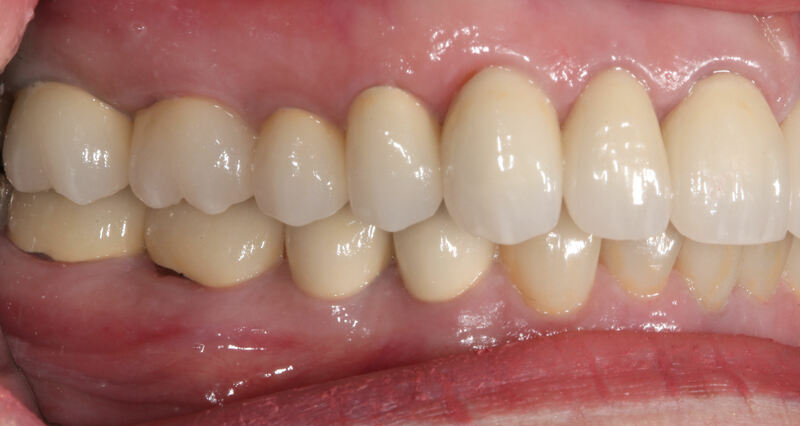 Prosthodontists receive two or three years of additional training after dental school, and restore optimum appearance and function to your smile. Prosthodontics is the dental specialty which involves the replacement of teeth and oral tissues with artificial substitutes such as: COMPLETE OR PARTIAL DENTURES, CROWNS, BRIDGES, and DENTAL IMPLANTS. The Prosthodontist provides comprehensive care to the medically compromised, the ageing population and the cosmetically challenged individual. 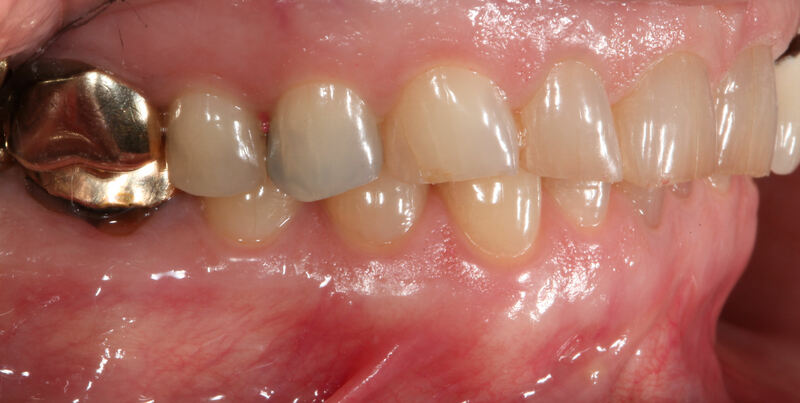 Prosthodontists employ a multi-disciplinary approach to patient care. The health and well-being of our patient is paramount. 2. 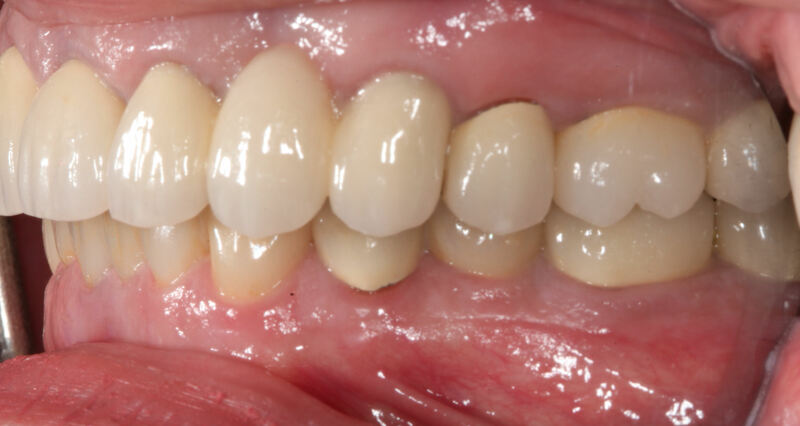 HOW DO I BECOME A PATIENT OF PROSTHODONTIST DR. MORLEY RUBINOFF? Most people are usually referred by their general practice dentist or by dental specialist from another field of dentistry. Some people request a consultation after speaking to a previous patient of mine or after reading about my practice on-line. New patients are always welcomed. First appointments can be scheduled by calling the Bayview Village Dental Specialists phone number 647-347-8591 or by filling out our New Patient’s Form online. 3. WILL I RECEIVE A TREATMENT REPORT AND FEE ESTIMATE AFTER ATTENDING YOUR OFFICE FOR AN EXAMINATION? All patients seen by Dr. Rubinoff receive a report and fee estimate. If you are referred by another dentist or you want a report to go to a dentist that you have previously seen, a full report along with necessary x-rays and photographs will be sent to your doctor along with a copy of that report to yourself. Fee estimates are prepared for all patients along with appropriate procedure codes. These procedure codes are used by dental insurance companies to assess the amount of coverage you have for dental treatment that you are requesting to be completed. 4. ARE DENTAL IMPLANTS FOR YOU? 5. MY DENTIST TELLS ME THAT I GRIND MY TEETH WHEN I SLEEP AND NOW MY TEETH ARE REALLY WORN DOWN. CAN YOU TELL ME WHAT CAN BE DONE TO FIX MY BITE? Do you have frequent upper neck or lower back pain? Do you have hearing loss or dizziness frequently? Do you have frequent ringing in your ears? Are you aware of any clicking or grinding sounds in your jaw joints when you open and close? Are you limited in the amount that you can open or close your jaw? Do your jaws lock when you are opening or closing your mouth? Do some or all of your jaw muscles ache frequently? 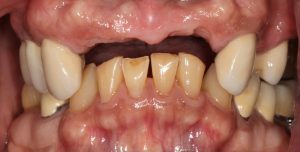 Are you missing many of your teeth, especially the back teeth? Are you aware of daytime clinching or nocturnal grinding of your teeth? 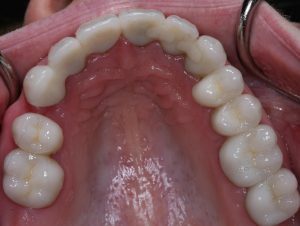 There are several other important factors that will influence your Prosthodontist when he or she evaluates your mouth but these are some of the key points. Depending on the severity of your problem, the treatments will vary. Here is a brief synopsis of some of the problems we see and how we might address the problems. Case One: Our patient had a history of grinding (bruxing) at night. 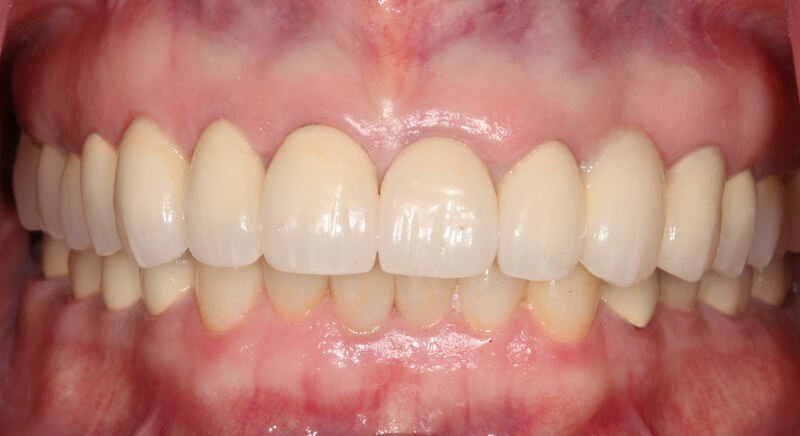 Now she has her mouth restored with crowns and she wants to prevent fracture of her new porcelain crowns. Case two: Our patient has a history of grinding during the daytime and at night. 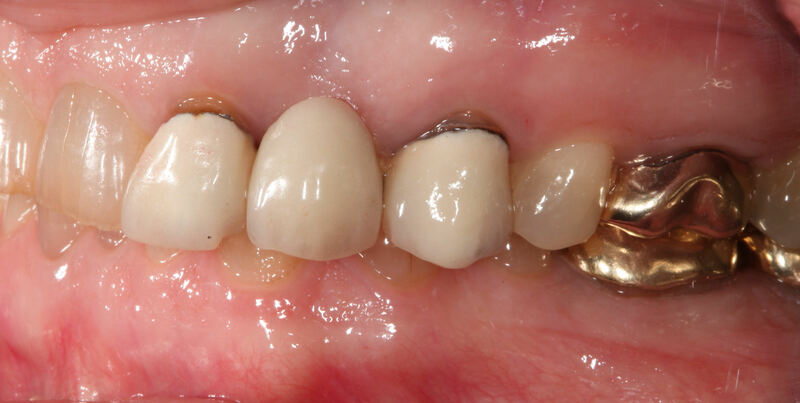 He has developed extra bone deposits around his upper and lower teeth as a result of this constant grinding. For financial reasons, he has chosen to have is bite restored (opened) with a removable devise he wears in the lower mouth. This devise allows him to chew his food normally with good contact throughout the mouth. 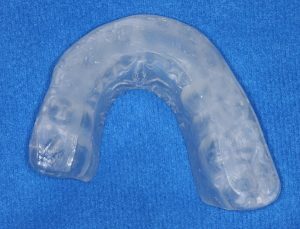 The devise also prevents him from further damaging his upper or lower teeth and helps to relax his jaw muscles and joints. Lower teeth are over-closed. 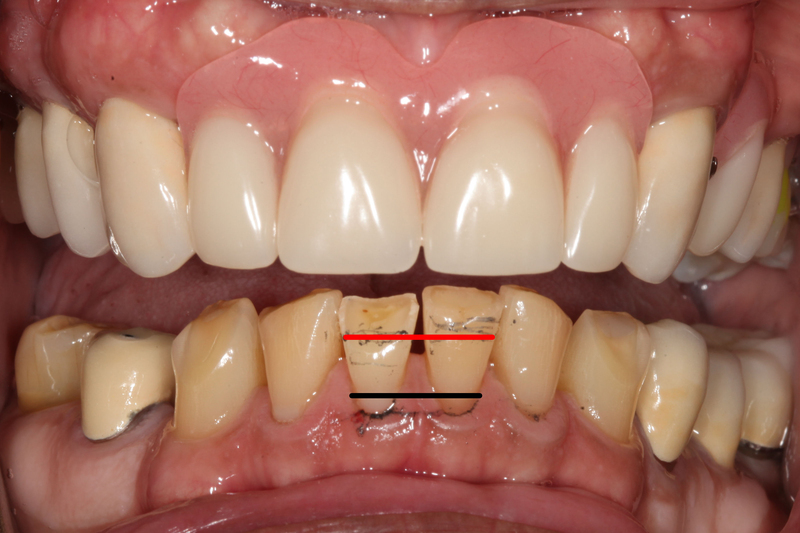 When bite is restored, upper front teeth will make contact with lower teeth at the red line, not the black line anymore. 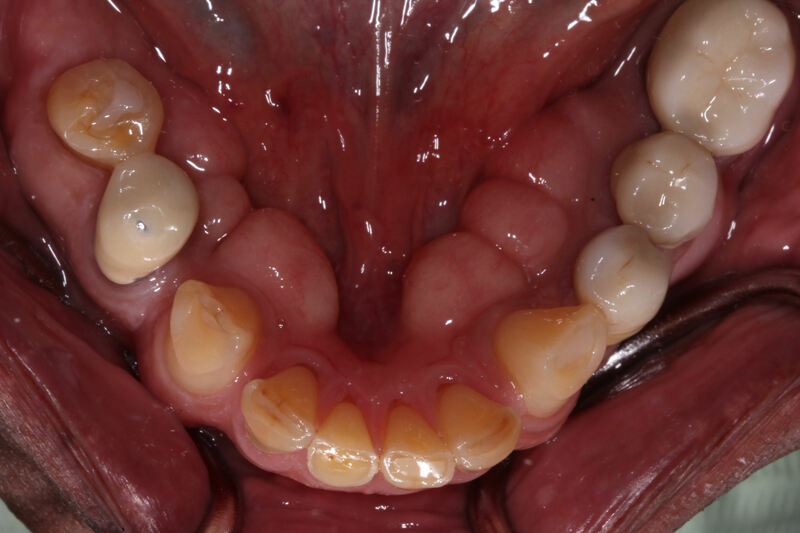 Case Three: This patient has ground down many of her teeth and it has been getting worse lately. She wants to improve the appearance of her smile and restore the function and appearance of her teeth. 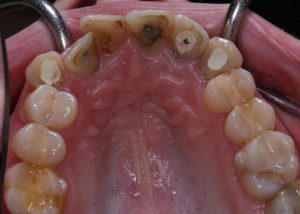 Treatment involves the placement of many new crowns with an opened bite.